Co-hosting the UEFA EURO 2012 has turned out to be a pivotal moment for football in Poland. From the Polish FA and the national team, through the Ekstraklasa league, clubs, stadiums, fans and infrastructure – it is hard to find stakeholders in Polish football and the wider society that did not benefit from the homogenisation with European standards when the UEFA decided to grant Poland the co-hosting rights back in 2007. Dangerous and poorly facilitated venues that were frequently witnessing crowd troubles and match-fixing have now been replaced by modern sporting arenas where family-friendly yet passionate atmosphere enriches the quality of the ever-improving Ekstraklasa – the top-flight competition. Is Poland a success story in European football? In his best-selling book Socceronomics, Professor Stefan Szymanski still argues that Poland is one of the biggest underperformers. Behind the glitz of Robert Lewandowski captaining the free-scoring Polish national team to the Euro2016 finals and four years on from co-hosting the European Championships themselves, what is the state of football in Poland? What can France and other future hosts of the Euro finals can learn from the Polish experience? Robert Blaszczak looks into what has actually improved and where the beautiful game in Poland is still lagging behind their European competition. Robert Blaszczak is a London-based sports media executive who has been working in the football industry since the early 2000s. Having started on the journalistic and editorial side of online, radio and TV football media (including covering a number of high-profile events, such as the UEFA Champions League Finals, as well as the Ekstraklasa TV coverage in the UK), Robert has now moved to the commercial side of the game. He has worked, consulted and advised to a broad spectrum of football stakeholders, from football clubs and national federations, to media groups, betting operators, integrity watchdogs, and football-focused start-ups. Borowski, J. et al (2013). 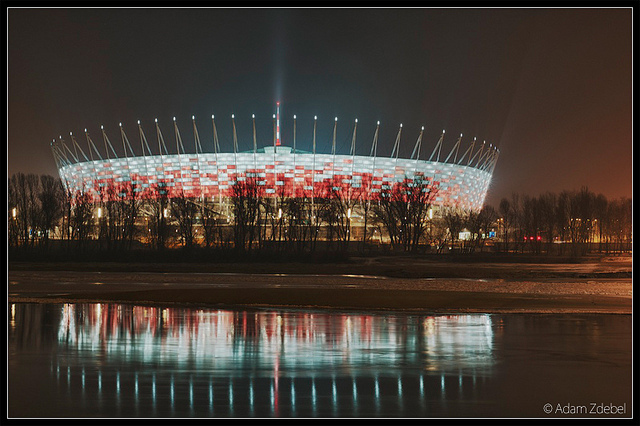 Assessing the impact of the 2012 European Football Championships on the Polish economy. International Journal of Sport Management and Marketing. Volume 13. Issue 1-2. Burski, J. (2013). Euro 2012 – The End And The Beginning For Polish Football Supporters. Przeglad Socjologiczny. Volume 62 Issue 3. 51-70. Elliott, R. (2012). New Europe, new chances? The migration of professional footballers to Poland’s Ekstraklasa. International Review for the Sociology of Sport. July 2012. Kedziora, M., Szczepanik, M. Poland: new shape, old problems. 204-220. In “The transformation of European football: Towards the Europeanisation of the national game”. Edited by Niemann, A., Garcia, B., Grant (eds. ), W. Manchester Unitesity Press, Manchester 2011. Piotrowski, P. (2006). Coping With Football-Related Hooliganism: Healing Symptoms Versus Causes Prevention. Journal of Applied Social Psychology. Volume 36, Issue 3, 629–643. Wloch, Re. (2013). UEFA as a New Agent of Global Governance: A Case Study of Relations Between UEFA and the Polish Government Against the Background of the UEFA EURO 2012. Journal of Sport and Social Issues. Volumne 37 Issue 3. 297-311.